Someone, years ago, told me the difference between the chacham (wise) and the pikeach (clever) men; the chacham does not enter, where a pikeach knows how to escape from. (החכם לא נכנס, משם פיקח יודע איך לצאת) (or something like that). I love the wisdom in this quote, but I have been unsuccessful in finding the source for this aphorism. I've asked my rabbi, who did not recognize the quote (but did point out that in many instances chazal point out that the chacham shows foresight, or thinks ahead). 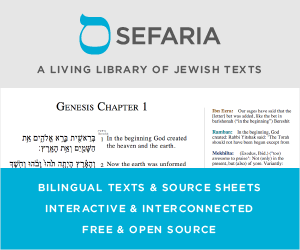 In sefaria.org I have tried to search on the combination of keywords חכם and פיקח, but I could not identify results that resembled the aphorism. Is there a source for this aphorism? And if yes: what is that source? That is, one can be a hakham, but not a pikeah, and vice versa. He writes that the former refers to someone who has amassed Torah knowledge and lives by it, while the latter refers to someone who possesses natural intellectual gifts. That is, hokhma refers to that which cannot be intuited or independently derived, and can only be learned through tradition. Primarily this refers to the Torah traditions, but more broadly it can refer to crafts and politics. Pikeah, however, refers to the intellectual ability to grasp what others do not. In summary: R. Mecklenburg, and R. Hirsch agree that hakham refers to one with acquired knowledge, while pikeah refers to one with natural intellectual talent, and that hakham refers especially to someone with Torah knowledge. Regarding different attitudes to apparent synonyms, see here. Regarding the view of R. Meckelenberg (and Malbim in particular), see here. Not the answer you're looking for? Browse other questions tagged sources-mekorot quotations aphorisms-adages .